Slower than expected start to today’s ride. We noticed that the rear rack on the orange tandem was loose and on closer inspection we saw that one of the bolts had sheared off. Once we started looking at it then the manager at the hotel we were staying at got involved and organised a couple of guys to come and help. It all seemed a little overkill, especially, when they pulled out the welder, but I am no expert, so I took off down the street to do some banking and fill the water bottles. 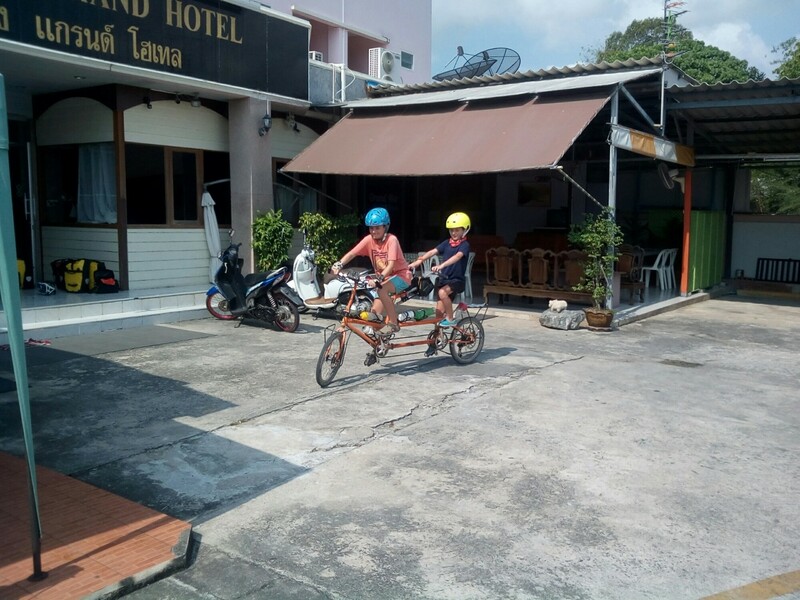 An hour later and the back rack is all fixed and the boys test out the bike in the Grand Hotel car park. It was an easy days ride today, but quite hot. With the later than usual start meant I was already sweating huge droplets before we even got started. 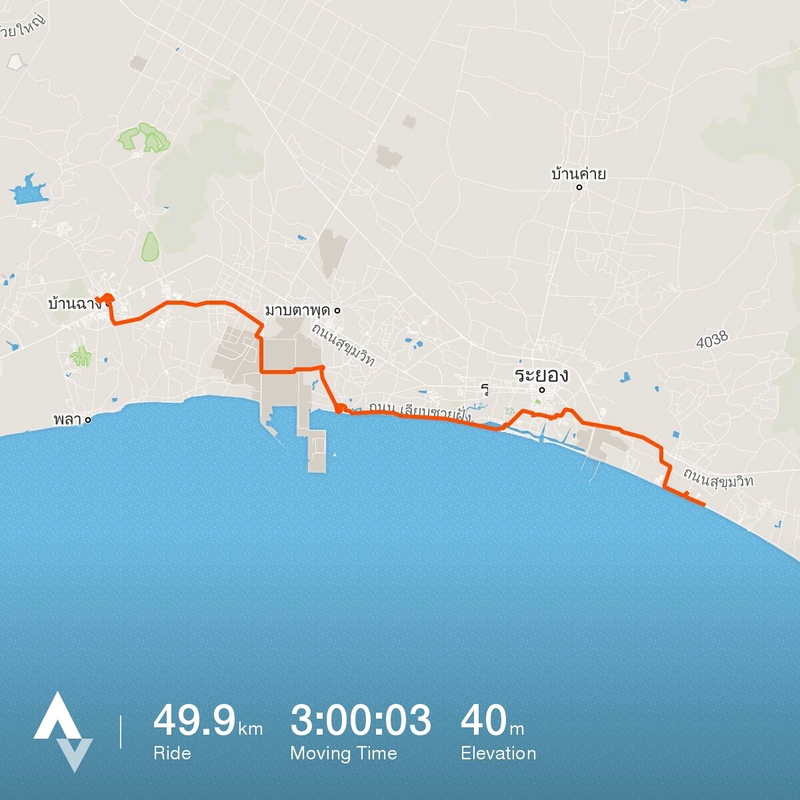 The ride took us through an large industrial area specialising in oil refining. Huge pipes seemed to be surrounding us on both sides and every five hundred metres they crossed the road like a pedestrian bridge. 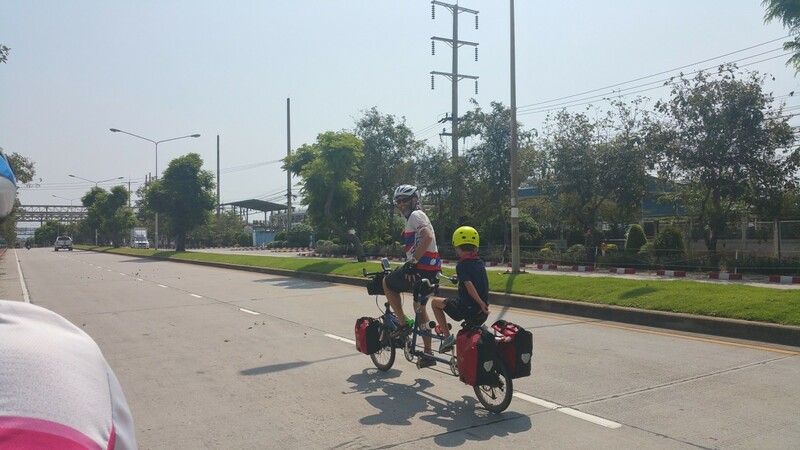 After the industrial area we cycled along the coast until we came to the town of Rayong. The route crisscrossed us through the suburbs and gave us an intimate look at the town. 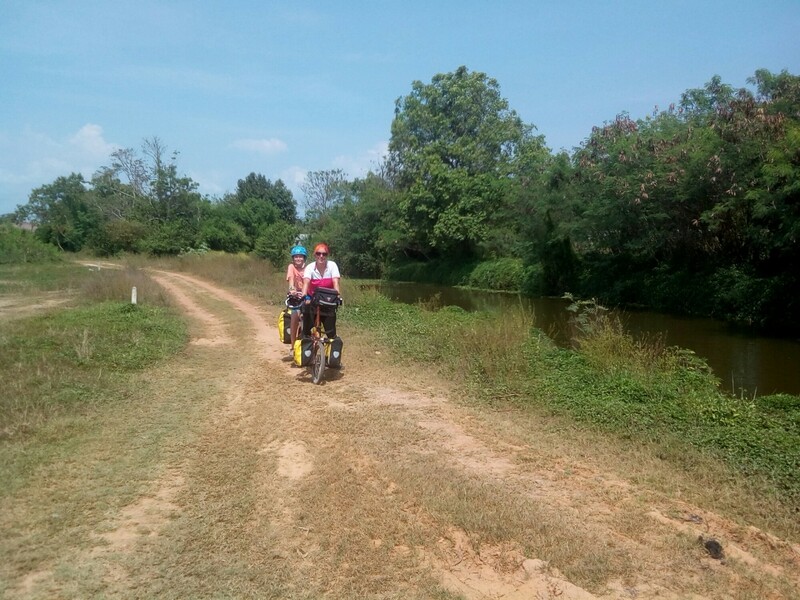 The eastern side of the town is taken up by more industry and we were forced onto the main highway for about 5kms, but had some welcome relief of riding a nice track beside a canal soon after to take us back to the coast. A welder is NEVER overkill! Not sure about that, but I was glad when they gave up arch welding. Good to have specialists to help. Made the news yet? ?